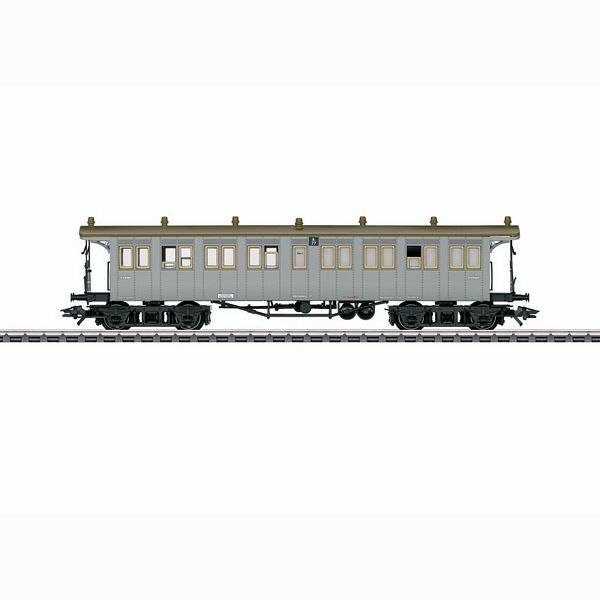 Prototype: Royal Wurttemberg State Railways (K.W.St.E.) medical car with four wheel sets. The car looks as it did around 1915. Model: The car has separately applied metal roof vents. The crossover platforms and roof supports are etched metal. The crossover metal plates can be folded up and down. The trucks are a Prussian standard design. Length over the buffers approximately 18.3 cm / 7-3/16. DC wheel set E700630.